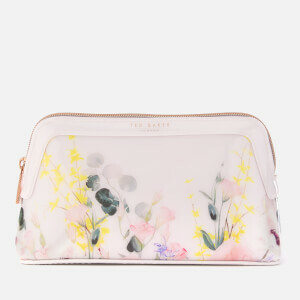 Zip around matinee purse from Ted Baker. 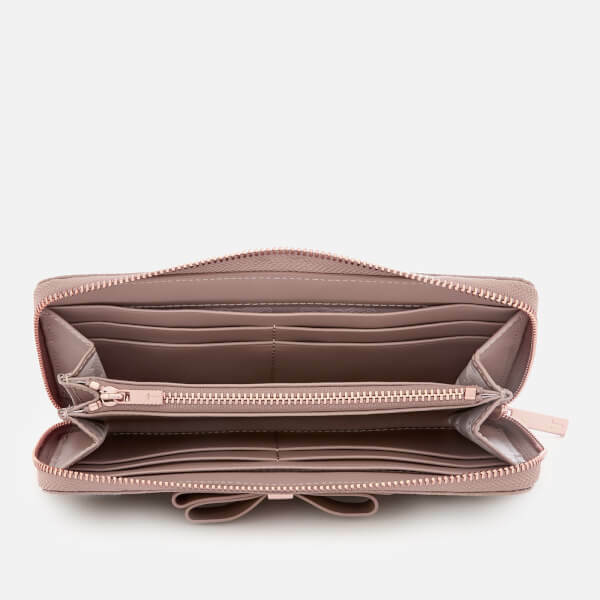 Crafted from textured bovine coated leather, the 'Aine' wallet showcases a spacious interior with eight card slots, multiple note sections and a central zipped coin compartment. 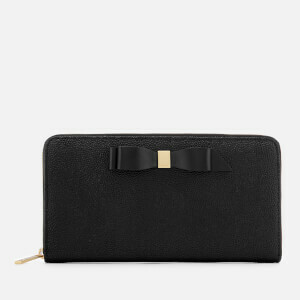 A rear slip pocket with signature foil branding also features. 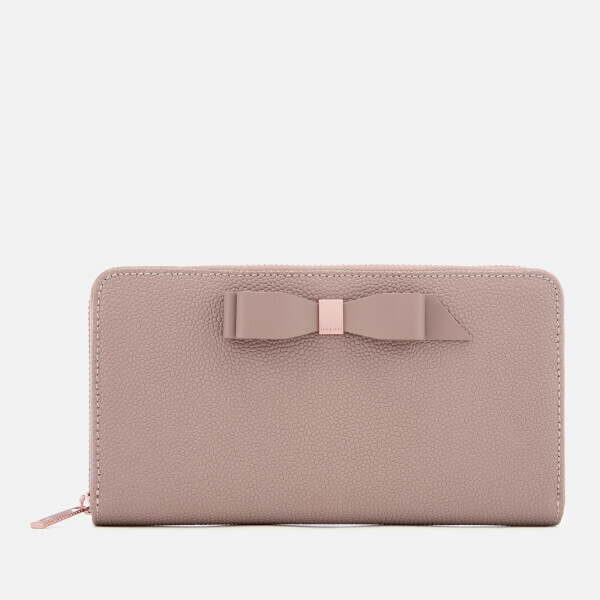 Accentuated with rose gold-toned hardware and front bow embellishment. 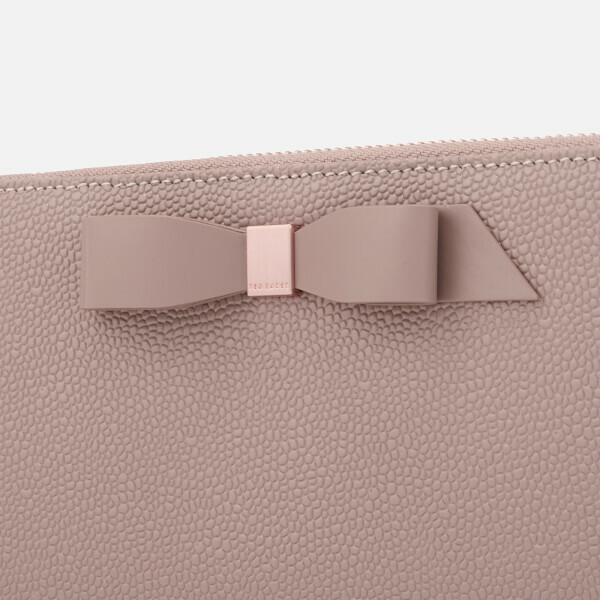 A bow print lining completes the design. Housed in a Ted Baker gift box. 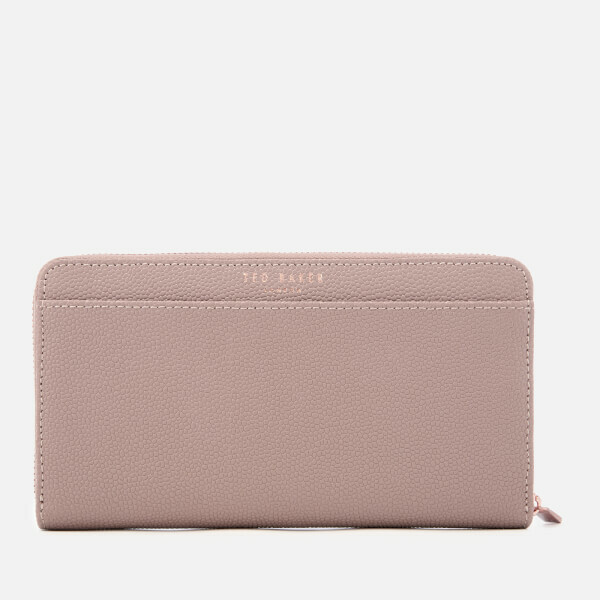 Shell: Bovine Coated Leather. Lining: Polyester.